There is still a Betjemanesque legacy that favours architects who worked on churches. Edwin Lutyens longed to do churches to emulate Wren, but he was never associated with any church establishment. 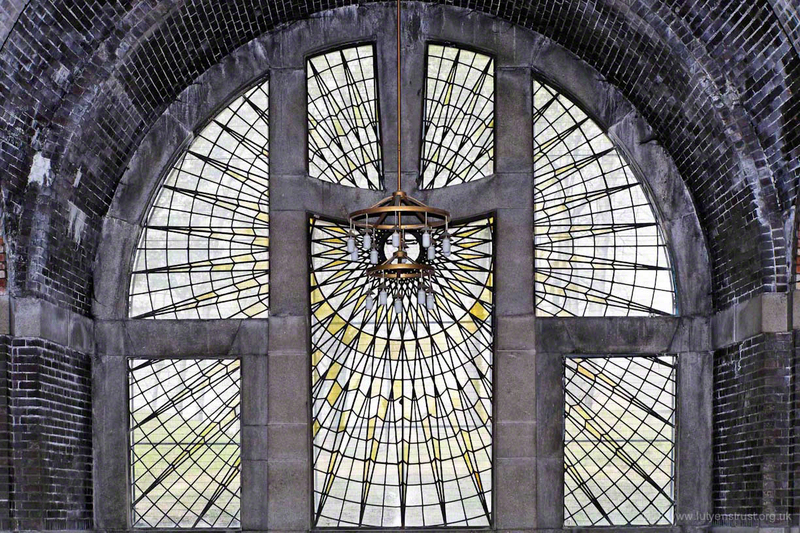 His churches came via private clients and are as follows: The Cathedral of Christ the King, Brownlow Hill, Liverpool (crypt only built, but marvellously impressive). The Great Model for the Cathedral is in the Walker Art Gallery (Update: the model has now been moved to The Museum of Liverpool). Hampstead Garden Suburb: St Jude’s Church and the Free Church in Central Square, Hampstead. St Martin’s, Knebworth, Herts (completed by Sir Albert Richardson). Church in Pixham Lane, Dorking, for St Mary’s, Dorking, for Miss Mayo. Campion Hall, Oxford, chapel. Hon. Aubrey Herbert Memorial Chapel, Brushford, Somerset. Methodist Chapel, Cliff Road, Overstrand, Norfolk. Other than Goddards, the Lutyens Trust is unable to answer queries regarding visits to properties. The information on this page is correct to the best of our knowledge – we do not make any claims as to its accuracy and do not accept any responsibility for the consequences of acting, or not acting, on this information. We recommend that you contact properties before visiting to avoid disappointment.